Are Keywords Still Important When Ranking on Google? Once upon a time, SEO was simple. Back in 2008, you could simply stuff your site with keywords so it ranks higher on SERPs, like Google. But over the years, Google developed more intelligent algorithms than ever before and implemented so many changes it’s nearly impossible to keep up. 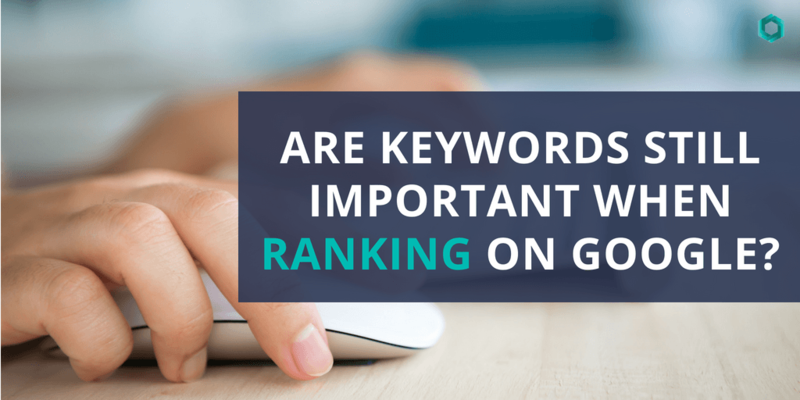 Lately, the conversation has shifted to focus on the importance of keywords to search engine optimization and whether they are still relevant to rank higher on Google and other search engines. Google makes nearly 500-600 changes to its search algorithm every year, which naturally can make it difficult to keep up. However, now and then, they unveil a significant improvement. There have been four notable upgrades of this magnitude: Panda, Penguin, Hummingbird, and RankBird. Unveiled in 2011, 2012, 2013, and 2015, respectively, these updates marked changes in how Google reads keywords. When Panda was released, it marked a turning point in how Google ranked your website. Previously, if you were ranking well for a specific keyword, that would rarely change based on content or UI. However, as Google has developed its artificial intelligence, it has acquired the ability to understand and interpret human language. With the introduction of RankBrain, officially the third most critical ranking signal, its AI system has developed a system that allows it to both understand keywords and measure user satisfaction to determine the ranking of your site. The goal is to eliminate SEO tricks that don’t allow pages to be justly ranked. So, Are Keywords Even Necessary? 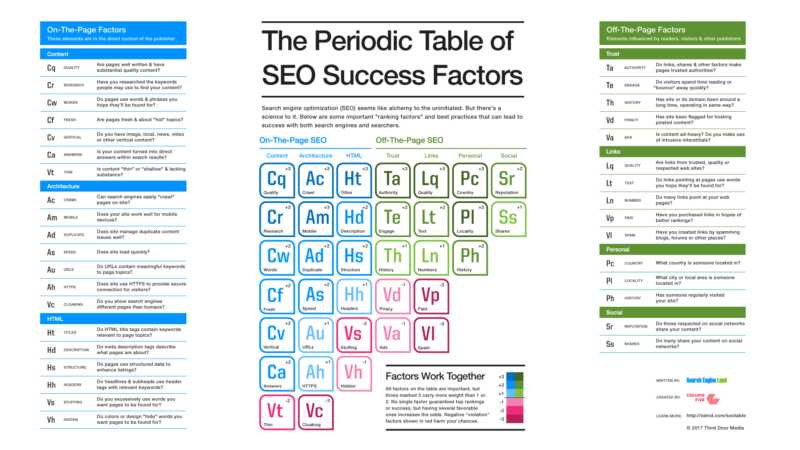 This periodic table of SEO factors narrows it down to over 200 principal elements. As anyone who has implemented an SEO campaign knows, so many different factors can affect where your site ranks on SERPs. With so many different things to worry about, keywords can seem arbitrary and unnecessary. However, they do still hold some weight with ranking and having proper keywords may help give you a little boost. But keep in mind, 75% of Google’s top ranking sites don’t include any sort of exact match keyword anywhere in their content. Instead, using synonyms and topic-driven content is regarded as just as important – if not more so – than keywords. So, what should you do to help boost your Google ranking? Focus on gearing your content towards the audience reading it, not the search engines crawling. Proper keyword research. Too many clients pick keywords at random without actually doing the work necessary to discover what works for them. Pick a primary and a few secondary keywords. Instead of individually researching them, explore the entire theme behind them, and elaborate on that concept. Implement them strategically. Don’t just use your keyword repeatedly again in the title. Repetition can do more harm than good. Instead, find other places to use your keywords. Titles, headers, URLs, and meta descriptions are all great places to incorporate keywords. Don’t excessively repeat the same phrase. Find variations, synonyms, and other expressions that you can use in place of your primary keyword. Remember, real people will be reading these, not just machines, and their experience will ultimately be what determines your page ranking. Avoid aggressive SEO strategies. Sometimes known as “black hat SEO,” this refers to keyword stuffing, improper use of tags, and tactics that you gear towards SEO algorithms and not real people. The underlying goal here is to keep in mind that you are writing for real, live people – just like you! They have opinions and preferences that you should be focusing on to make that emotional connection. Think about it this way: you are optimizing your website for search engines, not creating content for it. Take the time to locate a quality source, content writer, and team to help you successfully execute an SEO plan that works for you.